Dana Laake and her special guest Dr. Mache Seibel will discuss The Estrogen Window: The Breakthrough Guide to Being Healthy, Energized, and Hormonally Balanced – Through Perimenopause, Menopause, and Beyond. Mache Seibel, MD, is one of America’s leading health experts on women’s health and menopause, addressing stress and weight control in connection with menopause symptoms, and beyond. He spent nearly two decades on the Harvard Medical School faculty and has conducted many published clinical trials. Dr. Seibel is regularly interviewed by major print, radio and broadcast media on a wide variety of health issues. Dana Laake and her special guest Dr. Shanti Albani will be discussing new strategies for inflammation, energy and migraines. Dr. Shanti Albani, a doctor of naturopathic medicine, has certifications in herbal medicine and bioidentical hormone replacement. She had a primary care practice for many years in Mexico in the small town of San Miguel de Allende. She also owned a health food store where she held trainings on health and nutrition for the general public. While living in Mexico, Dr. Albani worked for a country-wide bioidentical hormone replacement company and trained physicians in the use of bioidentical hormones. She currently lives in Florida and works for Life Extension as a clinical trainer. Dana Laake and her special guest Dr. Shanti Albani will be discussing the basics of anti-aging. Host Dr. Kevin Passero and his special guest Sarah Mo will be discussing interactions between hormones and neurotransmitters. Sarah Mo, BS, BA, joined the NeuroScience, Inc. Clinical Support and Education team in 2010, where she provides clinical and technical support for laboratory services and products offered by NeuroScience. Sarah is also active in the Medical Education department as a Medical Science Liaison, working to coordinate educational opportunities for healthcare providers. Host Dr. Kevin Passero and his special guest Dr. Natasha Turner will be discussing how nutrition habits influence our hormones. 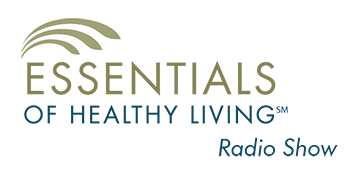 Dr. Natasha Turner, ND, is one of Canada’s leading naturopathic doctors and natural health consultants. Her main interests are hormonal issues, weight management, preventative health and digestive concerns. 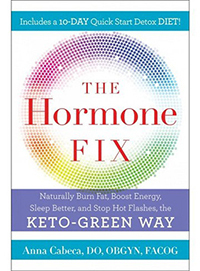 Dr. Turner is the best-selling author of The Homone Diet and The Supercharged Hormone Diet. She is a regular contributor to various magazines and television programs as a natural health expert. Host Dana Laake and her special guest Dr. Holly Lucille will be discussing how stress and metabolism can affect women’s hormones. Holly Lucille, ND, RN, is a nationally recognized licensed Naturopathic Physician. She is an author, educator and a frequent guest on television and radio shows. A member of the Enzymatic Therapy Scientific Advisory Board, Dr. Lucille maintains her private practice, Healing From Within Healthcare, in Los Angeles.